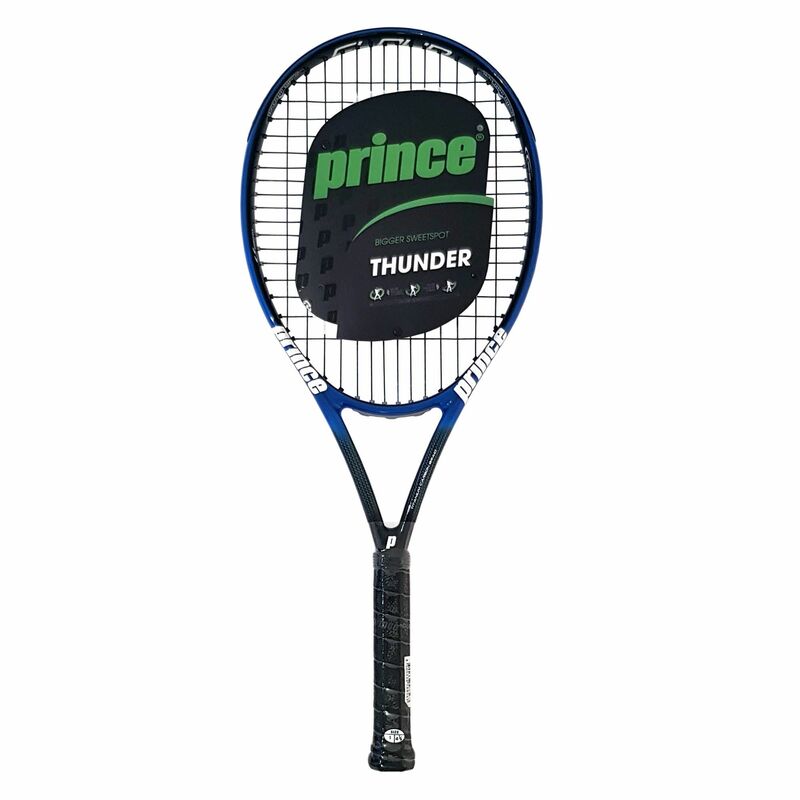 The Prince Thunder Cloud 110 offers a great combination of power and manoeuvrability that will be ideal for intermediates, beginners and players looking to improve their game. The power comes from the oversized 110in2 (710cm2) head which has a large sweet spot that ensures more trampoline effect. This means you get increased power without changing your swing. The frame, despite its large head, is very easy to handle and manoeuvre because of its low 255g (8.9oz) weight, so the extra power you get is controllable. 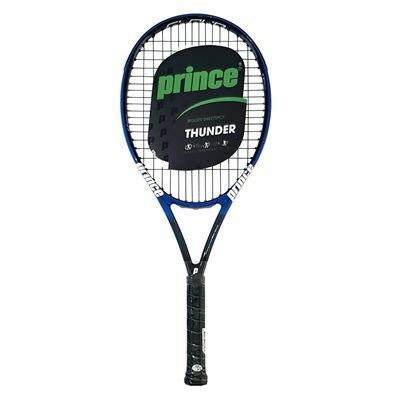 Prince have used their Morph beam construction and Triple Threat technology to produce a very stable frame that resists torque and twisting, with off-centre hits still retaining good levels of power so you keep your opponent under pressure. 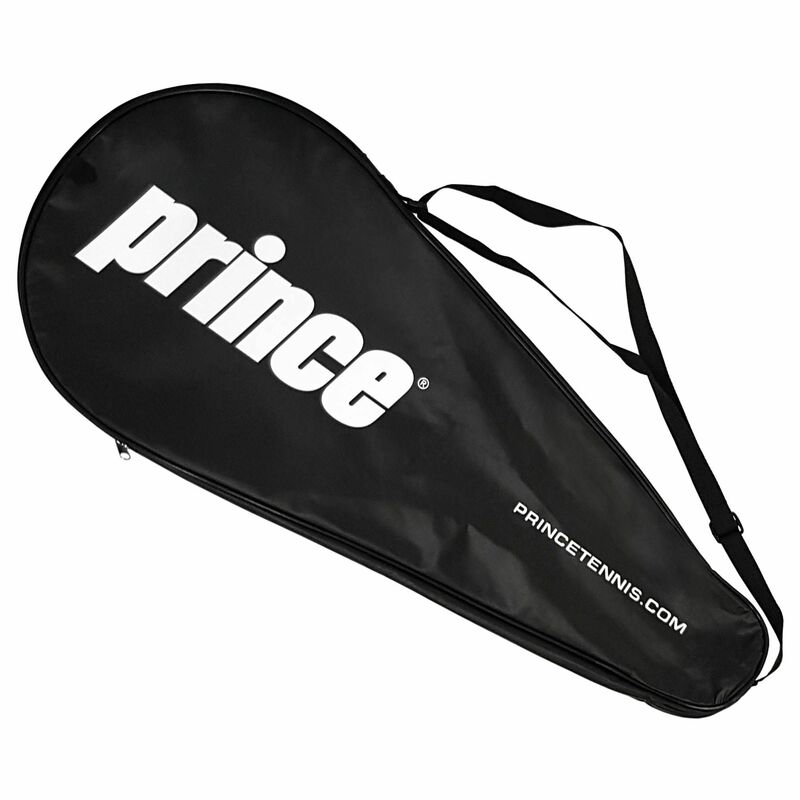 Enjoy an impressive blend of precision, comfort and effortless power from this lightweight racket. It comes pre-strung with a nylon string in a 14x17 string pattern and includes a full-length cover. An excellent racquet. Before this I was using a Wilson Hyper Hammer. 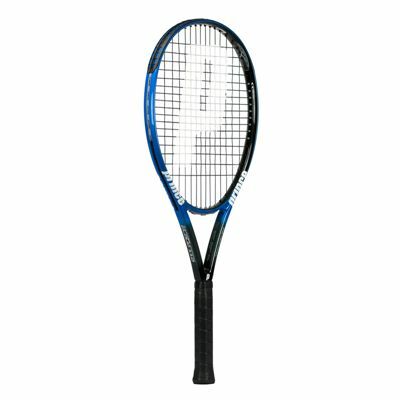 This racquet has clearly improved my game. The sweetspot is excellent and is quite forgiving on off centre shots. 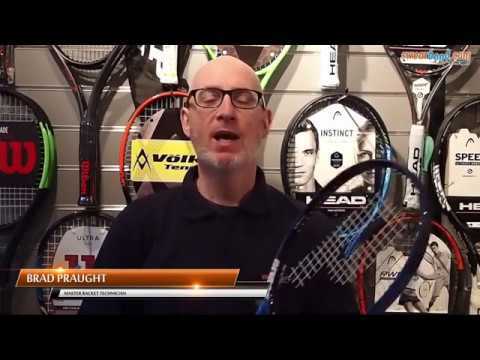 This is one of the lightest racquets I've seen around for its price. 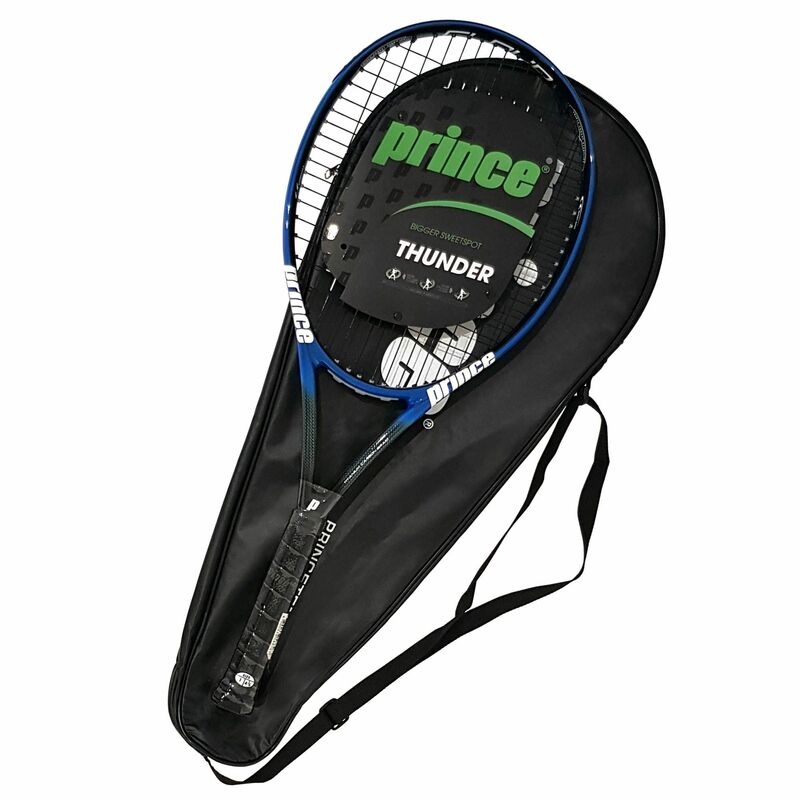 It’s a joy to serve and volley with the Prince Thunder Cloud. Great power and excellent mobility. I have played with the Thunder Cloud for a while now and love it! It has won me lots of tournaments. 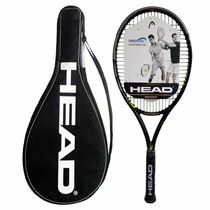 It plays awesome at the net and has wonderful serving power. The swing weight is just great! The lightweight frame allows you to move it around quickly. This makes it really fun to play with and fast. 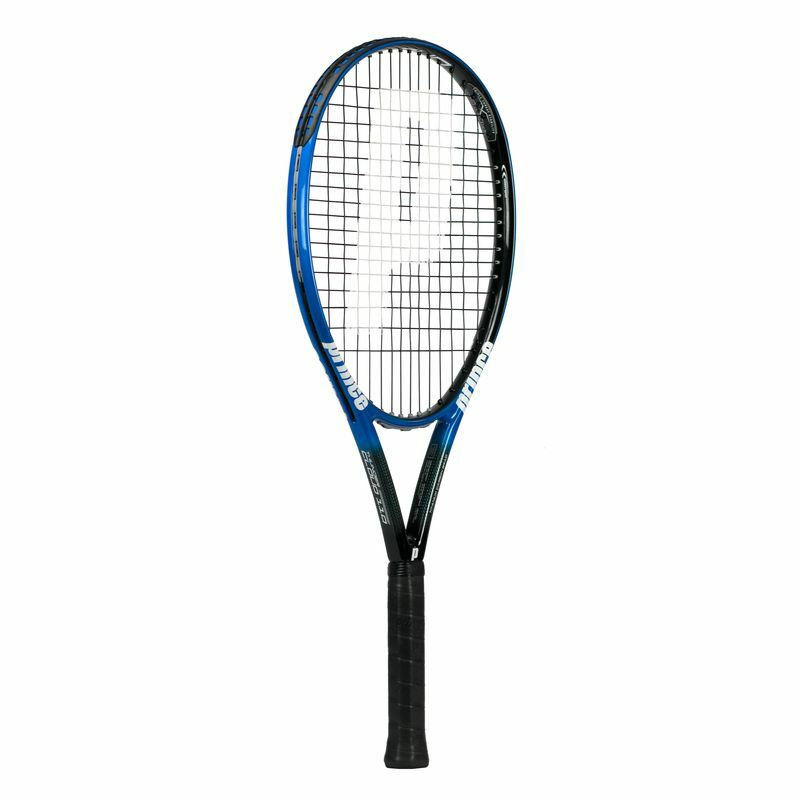 I am also able to put a lot more spin and action on the ball than with other racquets that are heavier. It volleys well, performs exceptionally from the baseline, and is easy to serve with. I notice that the more aggressive I am, the more I get out of it. I don't think I will ever go back to heavier weighted racquets. for submitting product review about Prince Thunder Cloud 110 Tennis Racket.